The narrative that Apple Inc. (NASDAQ:AAPL) has lost its growth is false. The problem is that 2015 was a historic year for Apple, and that 2016 is a refresh, “s” year. Next year will be far better, with the iPhone 7 and the continued performance of its Services business leading to a reverse in bad fortunes and a return to top-line growth. Therefore, it is a bit naive to think that AAPL stock is not a good investment at just 10 times forward earnings. In fact, it is very possible that once growth returns, Apple stock trends back to the high end of its multiple range, toward a forward price-earnings ratio between 13 and 15. This implies upside of 30% to 50% in AAPL. 5 Dow Jones Bulls Leading the Charge! While 30% to 50% upside is very good, there are 10 stocks in the market that should perform even better. The only catch is that some have slightly higher risk. That said, let’s take a look at 10 stocks that have even greater upside than Apple. Yes, the primary concern regarding user growth still applies. However, new CEO Jack Dorsey has made a big bet on content (with the NFL) and is reportedly trying to acquire additional live content after receiving better than expected advertising demand. This combined with Dorsey’s decision to show advertisements to those who see tweets but are not actual users has investors thinking that Twitter has a great chance to grow revenue significantly despite lacking user growth. That said, revenue growth expectations have been reduced from 30% and 40% to low 20% over the next two years. Thus, the bar is set very low for Twitter. If Twitter can deliver and beat low expectations while having success with the NFL, it would be no surprise for TWTR to double! What’s crazy is that TWTR would still be 50% off its all-time high even if it doubled. Skechers USA Inc (NYSE:SKX) has quickly become one of the most impressive companies in retail. The footwear giant grew 28.7% in 2014, 32% in 2015 and is now on pace for yet another double-digit year of growth, with record quarters on top of record quarters. Furthermore, margins keep going higher while its debt has decreased in each of the last three years. What this rapid growth and higher margins insinuates is pricing power. The fact that Skechers has grown so quickly while reducing debt further illustrates pricing power on behalf the company. That said, Skechers is expected to grow double-digits in each of the next two years. As a result, SKX will have strong earnings to help regain recent stock losses; SKX is currently 40% from its high. Skechers’ decline in value has nothing to do with operations. SKX is still up 550% the last five years despite the recent pullback. Hence, profit-taking likely contributed to recent losses. More than likely, those who sold will be just as quick to re-enter SKX stock as they were to take profits. If you expect Valeant Pharmaceuticals Intl Inc (NYSE:VRX) to file for bankruptcy any time soon, you are going to be very disappointing. Yes, VRX trades like a company destined for bankruptcy. However, it is not going to happen anytime soon. As explained in a previous article, Valeant is cash rich with $1.2 billion, has debt obligations of just $272 million, and has never missed a debt payment. So while $32 billion is a lot of debt, Valeant is capable of paying it down over time with cash on hand and a business that creates free cash flow of $1.7 billion annually. Once the market realizes this fact, and that a near-term bankruptcy makes no sense, VRX stock should start to appreciate rapidly. Therefore, VRX is deserving of a multiple of free cash flow of more than 4. In fact, VRX could double from this point and it would still be one of the cheapest biotechs in the market on a price/FCF basis. There are not too many companies in history to have grown from $200 million in revenue to $15 billion in five years time. 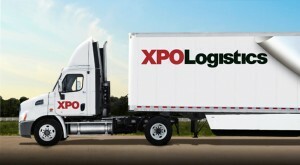 XPO Logistics Inc (NYSE:XPO) is one of the those companies. Granted, most of this growth has come from acquisitions, which means that one-time expenses and integration costs have eaten into XPO’s bottom line. Due to frustration with its lack of profits, XPO stock has fallen 40% from its high. However, CSO Scott Malat recently disclosed that the lack of profits is now a thing of the past. He explained that from this point forward, investors will see positive EPS. As that happens, watch for an undervalued XPO stock to appreciate quickly, surpassing its previous highs at an even faster rate than it has fallen. Marathon Oil Corporation (NYSE:MRO) has recovered much of its recent losses with a 70% gain over the last six months. However, MRO is still down nearly 40% over the last year. Marathon was punished badly as oil prices started to fall because of its aggressive spending and its need for high oil prices to turn a profit. However, after an offering to raise capital, a more sensible capital spending plan and a near $900 million acquisition in Oklahoma’s “Stack” oil region, the outlook for MRO has quickly turned bullish. In other words, MRO has adjusted to the market and rolled with the punches. MRO’s CEO recently said that if oil prices would stay above $50/bbl that it would increase drilling activity. He also noted that the recently acquired Stack assets are already profitable enough to counter many of its more risky plays. With oil prices near $50, MRO could have a lot of room to run higher in the immediate future given the revised outlook surrounding the company. I’ve explained several times over the last six months that 2016 is going to be a volatile year for Acadia Pharmaceuticals Inc. (NASDAQ:ACAD) stock. However, with its recently approved drug Nuplazid likely to create several billion dollars in annual sales, there is also great long-term upside for the stock. Specifically, ACAD has had a strong six months with gains near 40%, but is still down 33% over the last year. Once ACADIA gets Nuplazid on the market and works out all the kinks that come with launching a drug of its caliber, the strong sales will drive ACAD stock much higher. In an industry that trades at six times sales, ACAD stock trades at just one times peak sales on Nuplazid. That leaves a lot of room for ACAD to trade higher over the next two to three years. Allegiant Travel Company (NASDAQ:ALGT) is smaller than the likes of Delta Air Lines, Inc. (NYSE:DAL) or Southwest Airlines Co (NYSE:LUV). However, it is operating on a completely different level with far more impressive growth, better capacity and higher margins than any of its competitors. The disrupting company is creating havoc for the likes of Delta with each new market it enters. Yet, an overall bearish sentiment in the airline space has pushed ALGT down 35% from its high, and is given investors a second chance to own shares at a very cheap multiple of just 11 times earnings. For those looking for a safe, stable company with huge long-term upside, it does not get much better than ALGT. Bank of America Corp (NYSE:BAC) trades at just 59% of its book value per share. In the banking arena, book value per share is the metric of choice to value these large, complicated institutions. Competitors like Wells Fargo & Co (NYSE:WFC) and JPMorgan Chase & Co. (NYSE:JPM) trade at premiums to their book value per share, over 100%. As a result, there could be great upside in shares of BAC if the company could ever downsize efficiently, increase net interest income, and improve the operations of its consumer banking unit. Thankfully, the earnings performance of JPMorgan has bank stocks soaring, and its consumer business is a big reason why. Hence, BAC might have short-term upside ahead and after earnings, and then longer-term upside due to being so cheap relative to its peers. Since Fitbit Inc (NYSE:FIT) went public last year it has beat analyst expectations and raised guidance in each and every quarter. Yet, natural skepticism that Fitbit can maintain its remarkable performance long-term with a hardware sales driven business model has pushed the stock down 70% over the last year. With Fitbit launching its first ever smartwatch and having great success earlier this year, the stage has been set for Fitbit to create a large, sustainable software and services business around smart wearables. Investors should start seeing software and services revenue in the coming quarter, which makes the period very important for FIT stock. Fact of the matter is that Fitbit has lost an incredible amount of value because of declining shareholder sentiment. If Fitbit keeps doing what it has done, there is no question it will recover. Given its forward P/E ratio of 10, Fitbit stock has the potential to soar beyond 40% growth and improved sentiment. Restoration Hardware Holdings Inc’s (NYSE:RH) growth seemingly dried up overnight. In 2013 and 2014, RH grew revenue 20%. Even last year it grew at a double-digit rate, and had guided for a return to 20% growth in 2016. It has not worked out that way. Now, investors are just hoping RH can grow at a mid-single digit clip of the remainder of 2016. Nonetheless, Restoration Hardware has been its own worst enemy, but the good news is that its issues are correctable. At the very least, RH should be able to maintain a single digit growth rate long term. If so, RH should not trade at 12 times its future earnings. That’s too cheap when competitors like Home Depot Inc (NYSE:HD) are trading at a 20 times multiples. Even if RH goes 50% higher, it would be near equal value to HD with superior growth. That said, it may take a while for sentiment to turn after a near-70% loss year, but RH stock should go much higher long term. As of this writing, Brian Nichols owns FIT, AAPL, SKX, VRX, ACAD and ALGT. Article printed from InvestorPlace Media, https://investorplace.com/2016/07/huge-upside-stocks-to-buy/.